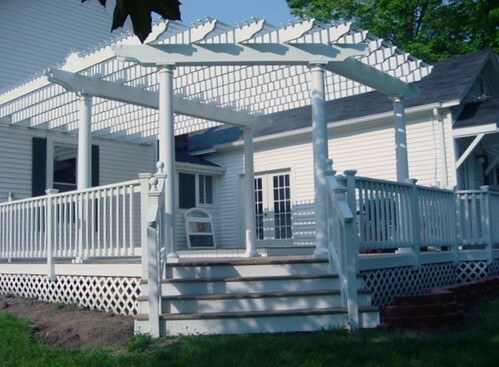 Large Deck and Pergola with 8" Tapered Columns. 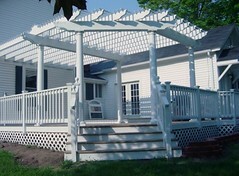 Over 100 2"x2" slats up top including custom crown detail. Drawbridge integrated into deck lifts up allowing access to cellar/basement.